This month your electricity bill will include a credit identified as the "California Climate Credit." 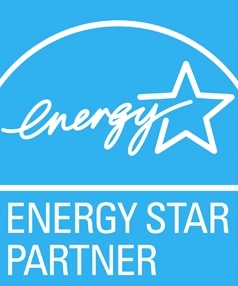 Twice a year, in April and October, your household and millions of others throughout the state will receive this credit on your electricity bills. The Climate Credit is a payment to Californians from a program designed to fight climate change by limiting the amount of greenhouse gas pollution that our largest industries put into the atmosphere. This program is one of many developed as a result of landmark legislation called the Global Warming Solutions Act of 2006, which puts California at the forefront of efforts to battle climate change. Other programs under this law increase clean, renewable forms of electricity, promote energy efficiency in homes and businesses, and require cleaner fuels, and more efficient cars and trucks. Together, these programs will aid in reducing greenhouse gas emissions that trap heat in the atmosphere–helping to clean the air and protect our food, water, and public health, as well as the beauty of our state. The Climate Credit is designed to help you join with California in its efforts to fight climate change and clean the air. You can use the savings on your electricity bills however you choose, but you can save even more money by investing the bill savings from your Climate Credit in energy-saving home upgrades, including more efficient lights and appliances. You can find more information and receive rebates for these and many other energy efficient choices for your home at www.EnergyUpgradeCA.org/credit. California's greenhouse gas reduction programs provide a range of powerful solutions to help slow climate change, one of the greatest challenges facing society. By gradually reducing emissions each year and moving to cleaner forms of energy, we are taking an important step to preserve the health and prosperity of our state for generations to come. news@cpuc.ca.gov, 800-253-0500, or visit www.cpuc.ca.gov.